At first glance, this list might not look so embarrassing. Nobel laureate Sinclair Lewis remains oft-referenced, if much more so for Babbitt (iPad/iPhone – Kindle + Other Formats – Read Online Now), his 1922 indictment of a business-blinkered America, than for It Can't Happen Here, his bestselling Hitler satire from the year before the poll. Most Americans passing through high school English still bump into Willa Cather, Robert Frost (four of whose volumes you can find in our collection Free eBooks), and perhaps Eugene O'Neill (likewise) and Theodore Dreiser (especially through Sister Carrie: iPad/iPhone – Kindle + Other Formats – Read Online Now) as well. Some of us may also remember Stephen Vincent Benét's epic Civil War poem John Brown's Body from our school days, but it would take a well-read soul indeed to nod in agreement with such selections as New England historian James Truslow Adams and now little-read (though once Sinclair- and Dreiser-acclaimed) fantasist James Branch Cabell. The well-remembered George Santayana still looks like a judgment call to me, but what of absent famous names like F. Scott Fitzgerald, William Faulkner, Ernest Hemingway, or maybe James Joyce? 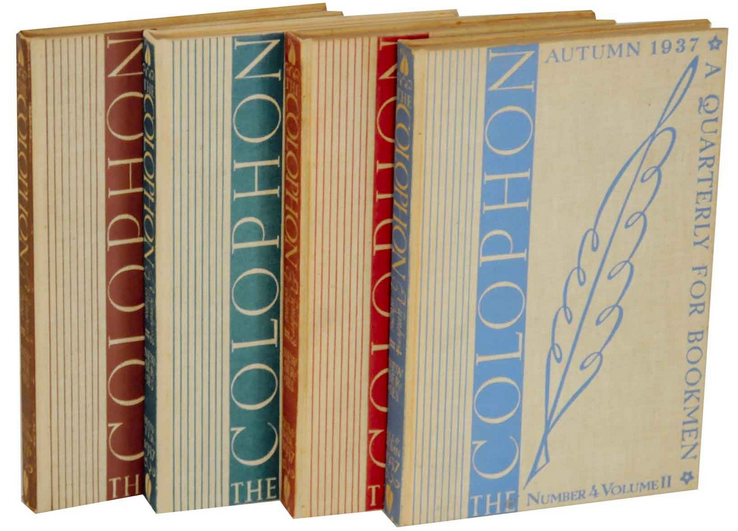 The Colophon's editors included Hemingway on their own list, but which writers do you think stand as the Fitzgeralds and Faulkners of today — or, more to the point, of the year 2078? Care to put your guess on record? Feel free to make your predictions in the comments section below. I am not surprised to see Frost and St Vincent Millay as the representative poets. The latter experimented (quite successfully) with modernist poetics (“Spring”, “Wild Swans”), but the bulk of her work is late- or neo-romantic, much like Frost, in style and substance. Easily digestable, uncontroversial even when it tries to be. Looks pretty good on second and third glance as well. Cabell is still quite popular among fantasy fans (at least of my generation), so that’s nine out of ten (twelve out of fourteen with the editors’ choices). They missed the modernists, and didn’t guess that we’d still be reading pulp writers like Edgar Rice Burroughs, but I wouldn’t expect either of those groups to be on book collectors’ radar in 1936. Guesses: David Foster Wallace, Jonathon Safran Foer, Dave Eggers, Don DeLillo, but I guess these are obvious guesses. Isabel Allende, James Baldwin, and Margaret Atwood. Isaac Marion(I’d hope) and probably Suzanne Collins. Most of the writers from 1936 are distinctly middle-brow u2013 fairly accessible. Millay is really the only one with weight. Dreiser for one book is a good choice. But really u2013 how far off with they with Fitzgerald, who, just with Gatsby probably outsells all the others combined today. I’d say Stephen King, Michael Crichton and Neil Gaiman. To be fair, the likes of Hemingway, Faulkner, and Steinbeck were just getting popular around 1936…they had just a little ways to go still before they reached Literary God-status! I believe Stephen King will be on the list. Sure, pop literature in many minds but a far bigger impact on the culture than many of the names mention above. And I stand by my belief that he has a truly distinctive voice.